Everything began thanks to an idea and a book. The idea came from Sara Azzolini. 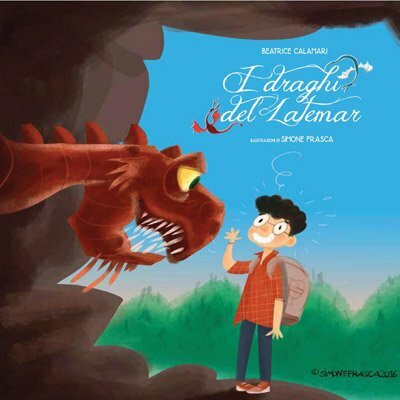 “The Latemar Dragons” written by Beatrice Calamari, and illustrated by Simone Frasca. The first playbooks were born from Beatrice Calamari’s tale: 7 Findadragon Adventures which accompany children and help them discover the Dragon Forest. 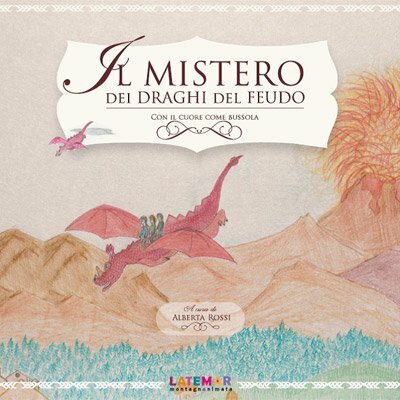 “The mystery of the Feudo Dragons” was written by the students of the Istituto Comprensivo Statale Marzari Pencati di Predazzo and Alberta Rossi. 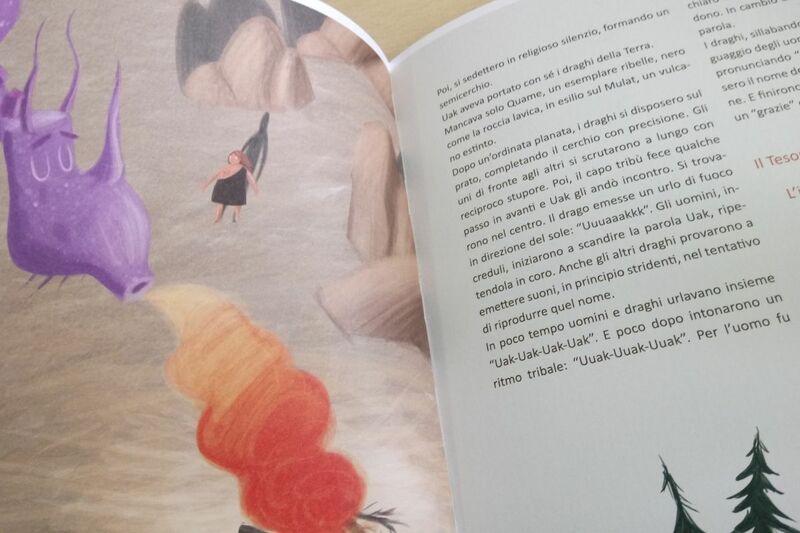 For “The crooked garden of Dahù” 4 pairs of authors and illustrators got to work: Pino Costalunga and Simone Frasca, Beatrice Calamari and Marco Nones, Alberta Rossi and Stefano Dellantonio, Anna Vanzo and Ilaria Castellan. 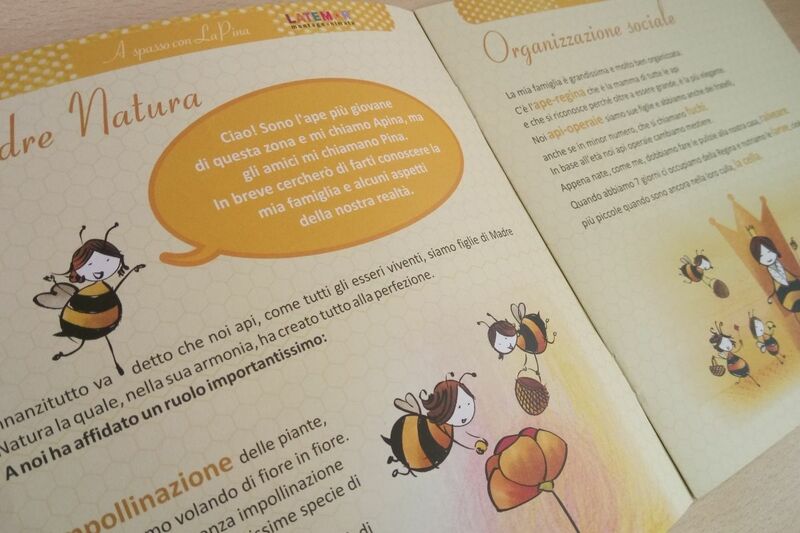 “A walk with La Pina” talks about the busy and fragile world of bees, with the voice of Alberta Rossi. “Tiny Circus Above” is a tribute to the circus: an art in which balance, freedom and poetry come together. The great Claudio Madia wrote it, he chose to observe the mountains through the eyes of Jo and Zop: two wandering artists who perform in triumphant scenes. Our budding series can be enjoyed lying down on a rug in the shade. 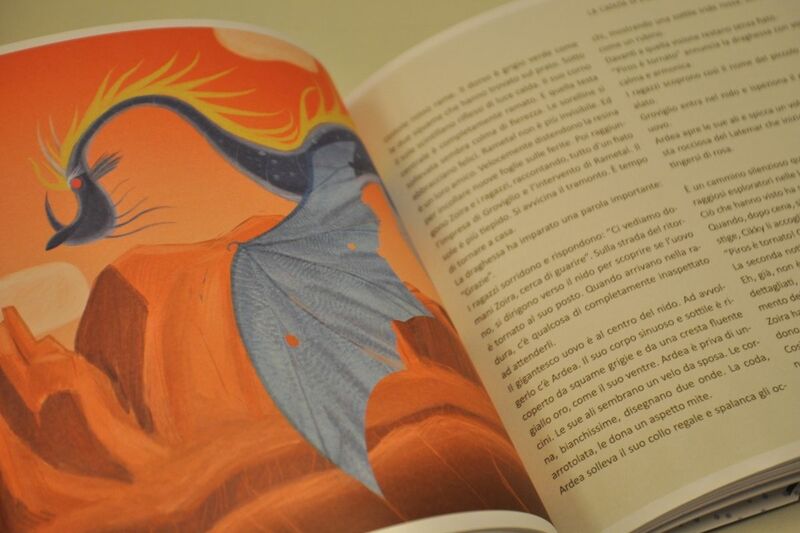 The book by Beatrice Calamari, “The Dragons of Latemar” animated The Dragon Forest. It was 2012, Beatrice Calamari had a dream: that children, thanks to playing, would learn how to wish for and listen to themselves deep down. 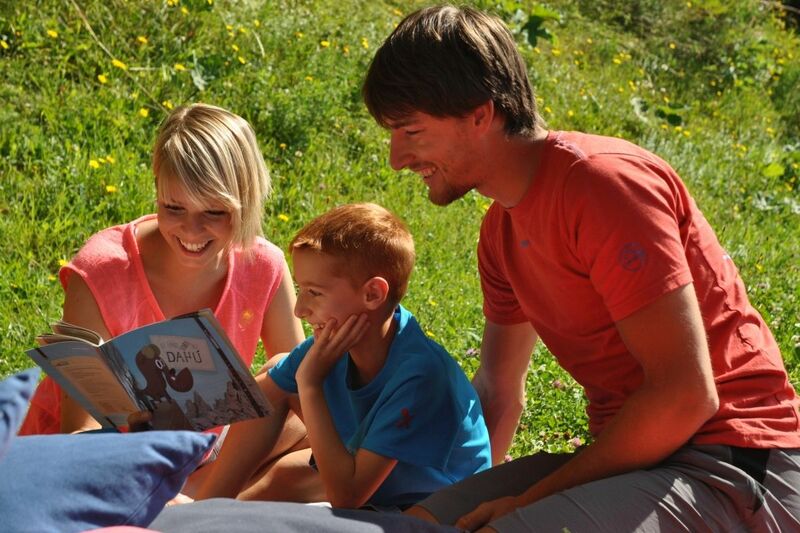 Sara Azzolini came up with an idea: make mountains a place in which families and children on holiday could discover the Latemar mountains, enjoying themselves and playing. Not only paths, but stories which invite you to walk. Not only traditional fables, but a dynasty of dragons. Characters which have never been seen before but tease the imagination. Two main characters: Latemar and dragons. That is how Ais, Ardea, Goira, Kromos, Rametal, Rogos and Zoira are born. But to see the dragons of Latemar the children have to learn how to open the eye of their heart. No shortcuts. 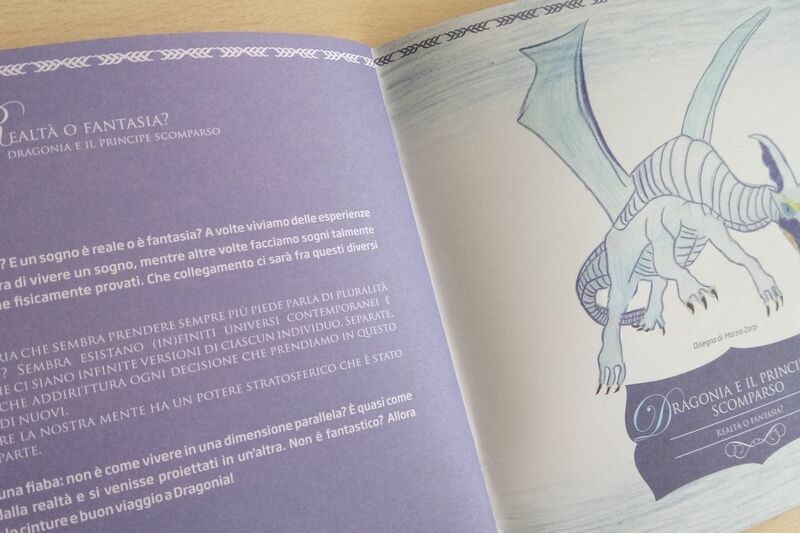 Simone Frasca fell in love with the dragons of Latemar and illustrated the book. 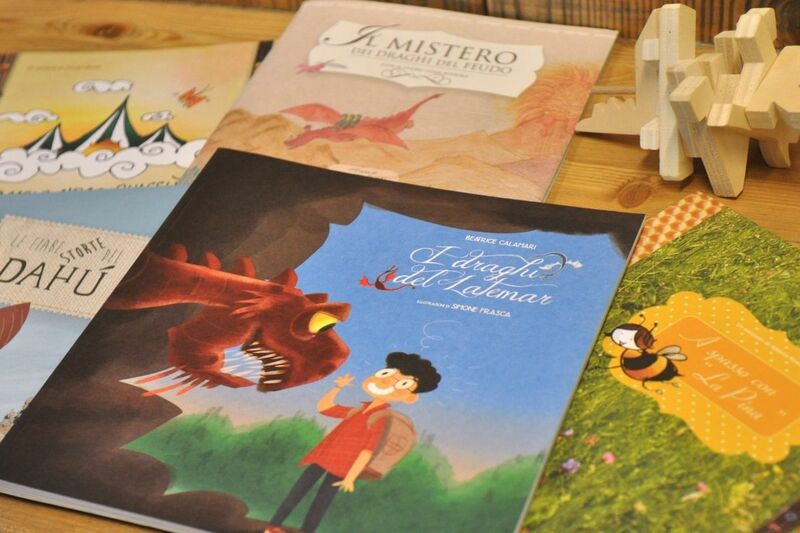 Frasca is the author of Bruno lo Zozzo: illustrator, writer author of an information campaign on important themes. 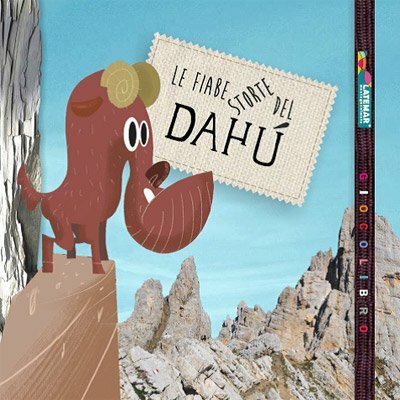 “The mysteries of the Feudo Dragons” is dedicated to the kids of Predazzo and Val di Fiemme, to help them work hard in preserving this beautiful territory, get to know it and take care of it. 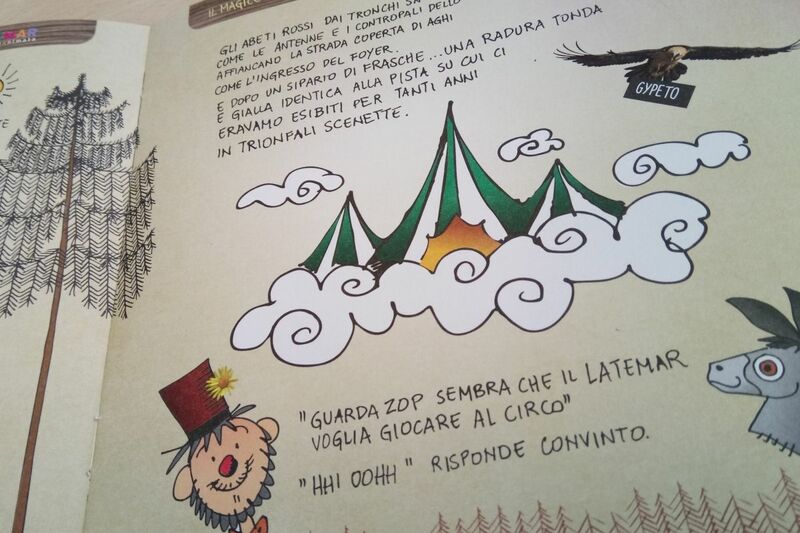 The stories and drawings are a selection of the work done by the students of the Istituto Comprensivo Statale Marzari Pencati of Predazzo (first grade, scholastic year of 2011-2012). They talk about forgiveness, treasures, intuition, wisdom, magic. Alberta Rossi has woven the thread that intertwines the ten stories which take place in the Latemar mountains, in Trentino, on the UNESCO Dolomites. Roundtotheright or roundtotheleft? The dahú looks for balance. Some people say it looks like a goat, but it isn’t. It definitely has four legs: shorter on one side and longer on the other side. This explains why it is forced to always turn right or to the left, almost risking extinction. 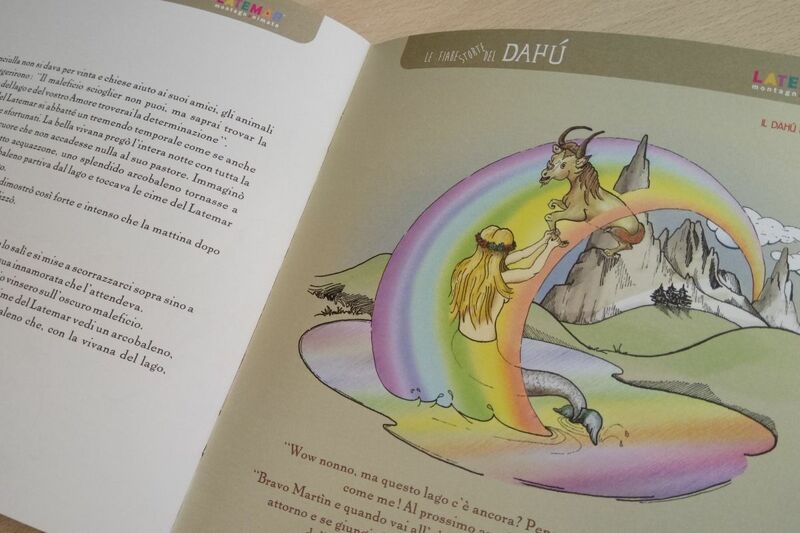 “The crooked fables of Dahù” was born thanks to the imagination of 4 authors and 4 illustrators: different styles, a poker of original narrations dedicated to a unique and legendary character. The dahù is a very strange animal. Some people have seen it climbing among the dangerous peaks of the Latemar mountains. Stop off at the Rifugio Passo Feudo, at the feet of Latemar, to see the dahù’s garden from nearby. There are strange furrows in the ground, fresh tracks which prove the animal’s instable balance and mysterious objects. This is a strategic point for the search. “A walk with La Pina” is a journey to discover a delicate and fragile world. Did you know that it takes 21 days for the bees to collect nectar, pollen and propolis? First of all the bees are stern guards, tireless workers, loving carers of their little larvae. They then become gatherers only on their twenty first day of life. Bees have a solid social organization. To find out more you can go for a walk with La Pina. No fear, her stinger is there only for defence. If you respect her everything will be ok. Alberta Rossi knows this. 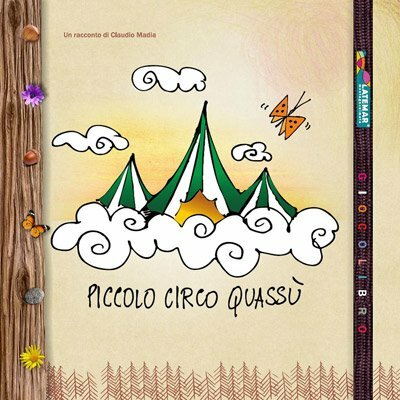 The circus comes to Gardonè every summer with the Clowning week: shows, labs, artists, a magical atmosphere. We love the circus because it challenges our balance. The circus is art, freedom, training. “Tiny Circus Above” is a concentration of beauty and agility. Such as the tightrope walker Claudio Madia. Discover the circus with Jo and Zop: two wandering artists who perform in triumphant scenes. Together with Mon and Mus, their friends, cartwheels on the soft grass and happiness for meeting up. This happens at Gardonè, at 1650 m di altitudine, in Val di Fiemme, on the Dolomites of Trentino.